Protoclassic, ca. 100 B.C.-A.D. 250. Holding the captive’s head with one hand and a weapon in the other. Height: approx. 14.5 in. (36.8 cm.). 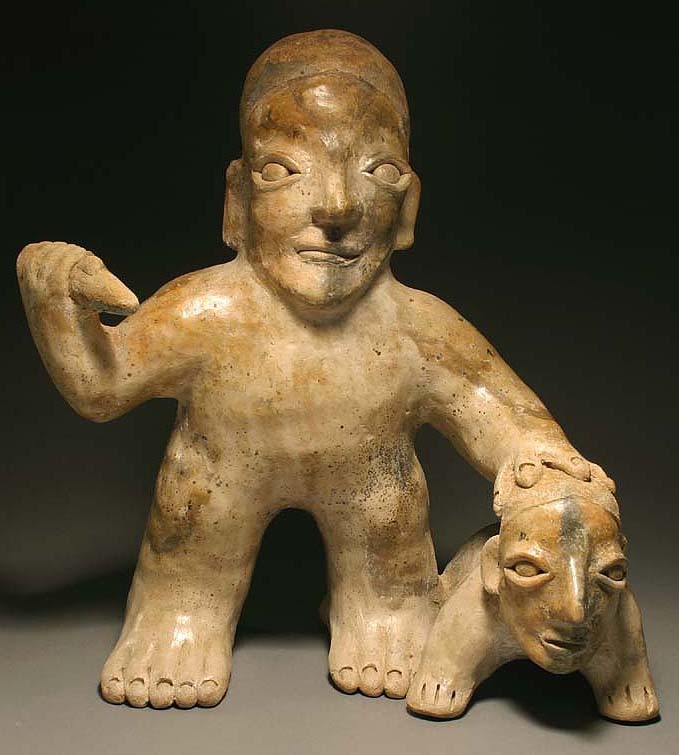 Provenance: An old Houston, Texas collection of Pre-Columbian art.